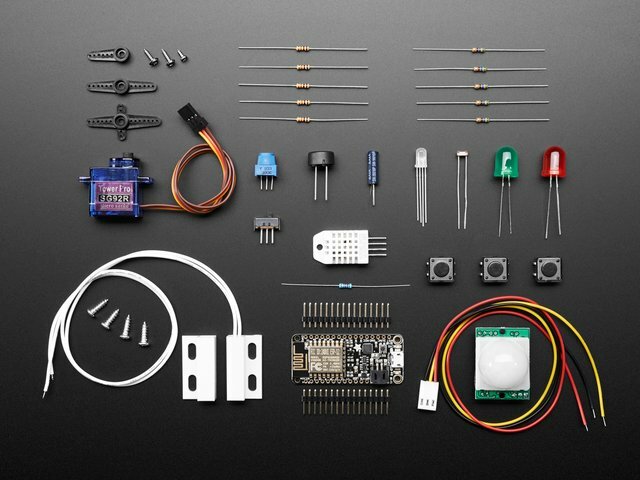 In the Adafruit IO Basics series of guides, the examples will be using hardware found in our Adafruit IO starter kit. If you are following along, you might want to consider using the starter kit below. Now that we have installed all of the dependencies, we can try to run one of the Adafruit IO example sketches. Navigate to the adafruitio_00_publish sketch by opening the File -> Examples -> Adafruit IO Arduino menu. Click on the config.h tab, and replace the placeholders with your Adafruit IO credentials and WiFi connection info. Next we will need to select the Adafruit HUZZAH ESP8266 from the Tools -> Board menu. Then, select the proper COM port on Windows, or USB device on OS X. Use the arrow icon (➡) to upload the example sketch to the ESP8266. It might take a while, but you should see a Upload complete. message at the bottom of the window when the process has finished. You can now click the serial monitor icon to view the output of the sketch. If everything goes as expected, you should see counter values being sent to Adafruit IO. If not, check your WiFi and Adafruit IO credentials in config.h and try uploading your sketch again using the process above. 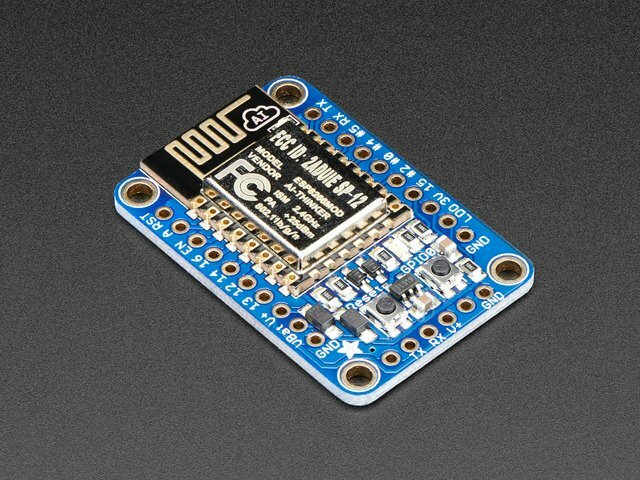 Now that your ESP8266 is sending data to Adafruit IO, you can view the data stream on io.adafruit.com by adding a stream block to your dashboard. To do this, click on the + icon on the right hand side of the dashboard. Add a new stream block by selecting it from the modal. Next, choose the counter feed from the list, and click the Next Step button. Modifythe stream block options as needed, and click the create block button when you are finished. You should now see data flowing into your stream block from your ESP8266. If you would like to continue your educational journey with your ESP8266 & Adafruit IO, check out the Adafruit IO Basics series of guides. This guide was first published on Aug 22, 2016. It was last updated on Aug 22, 2016. This page (Example Sketches) was last updated on Apr 19, 2019.